Bavaria just like on a picture postcard: majestic mountain tops, deep blue sparkling lakes, idyllic alpine pastures with grazing cattle – and lots more! Discover Bavaria’s most beautiful clichés during a week-long walking tour in Germany between Bad Tölz and Bayrischzell. Walk casually on marvellous panoramic mountain paths through picturesque scenery, have broken along the way in pretty little mountain chalets and enjoy a typical snack, (Brotzeit’) and a cool big glass of beer. The lakes Tegernsee and Schliersee re great if you fancy a swim, a dip into the refreshing waters of mountain lakes is always welcome on a hot summer’s day. Mountains, lakes and a Bavarian ‘Brotzeit‘ -snack – is there anything better than that? We don’t’ think so. Come and join us and see for yourself what Bavaria has in store for you! After a short train journey to Lenggries, you continue along the long-distance walking trail Via Alpina to the Aueralm via the Hirschtal-col below the steep rocks of Mount Fockenstein. Enjoy a rest including the Bavarian Alpine delicacies, before continuing through forests and across meadows with a wonderful long-distance view down onto Lake Tegernsee and descend to Bad Wiessee. To start today we follow the high-altitude paths with amazing views unfolding before you, to the mountain inn at Galaun. Onwards then to the little mountain chapel on the rock formation of Mount Riederstein, from where you have a magnificent view down to the lake and onto the surrounding mountains. Once back on the lake the Tegernsee brewery inn invites you in with open arms for a well-deserved beverage, before you return with the Tegernsee-ship to Bad Wiessee. 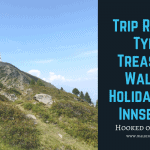 From Tegernsee you soon reach the rich alpine pastures via a steep forest trail surrounding the well-known Alpine beer garden Neureuth. After a break with lovely views of the lake you casually continue your walk to the Gindelalm alp. Then we descend along the forest paths and forest roads to Lake Schliersees. After the marina, you reach the pretty and neat spa park situated directly at the lakeside of Lake Schliersee. This natural mountain lake affords great swimming and stunning views in the evening as the sun sets. Walking along the lakeside-adventure-path you get to Fischhausen. We then continue along the “Bockerlbahnweg” path with numerous information points long the former forest railway, you first walk to the col “Spitzingsattel” and then onwards to the picturesque Lake Spitzingsee. At an elevation of 1084 meters and an impressive surface area of nearly 30 hectares, this is a sight to behold. Walk around this naturally idyllic lake before you take a break in the historic challet‚ “Wurzhütte” then return by bus to Schliersee. This morning starts with a nice light and airy cable car ride taking you to the summit station on Mount Taubenstein. Then you walk on a high-altitude path with brilliant views to the Rotwandhaus from 1692m where you have the opportunity to climb to the peak of the Rotwand if you fancy. At 1884m this is the highest summit in the Spitzingsee region and offers panoramic views that will take your breath away. Onwards via the picturesque cirque “Großtiefentaler Kessel” to Lake Soinsee with its beautiful location. We then continue along alpine pastures and flowering meadows to Bayrischzell. The King-Maximilian-path leads you past a waterfall to the Wendelstein-Alp. From there you walk all the way to the summit with its impressive meteorological observatory and along the panorama-loop-path to the Wendelstein cave with its accessible underground tunnels. After a snack in the panorama-beer garden, you will take the cable car back into the valley and casually walk back to Bayrischzell. You will walk along walking paths and forest roads. Where there are big differences in heights this will be tackled by cable car. Parking is around 30 Euro per week in public underground car park, however no reservation is possible.